One of our favorite things about Oaxaca is that a surprise party can pop up around any corner. The other day we were walking downtown when suddenly familiar music floated our way, reminding us of so many live bands we’ve heard at weddings, baptisms, funerals, Day of the Dead celebrations, the Grito, Christmas, and pretty much every other occasion one might think to commemorate. Sometimes the band marches through the streets all night and you wake up to one coming up the ridge in the morning. 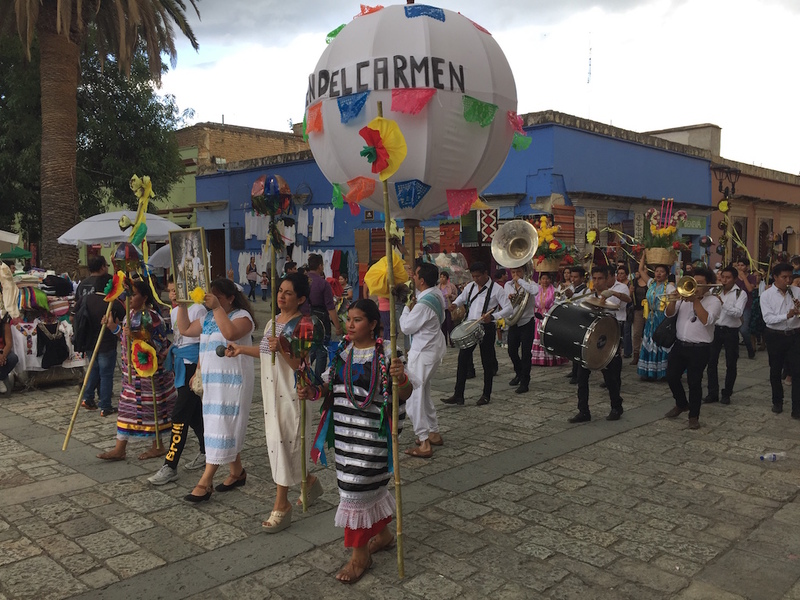 Here’s a short clip from a parade for the Virgin del Carmen, whom we hadn’t heard of before the band and dancers marched by.